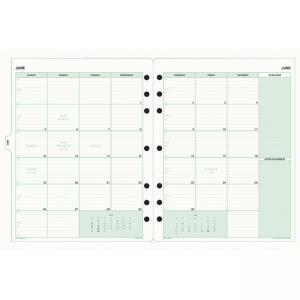 Media Size : 11" x 8.50"
Calendar refill pages feature two-page-per-month spreads for a streamlined schedule. 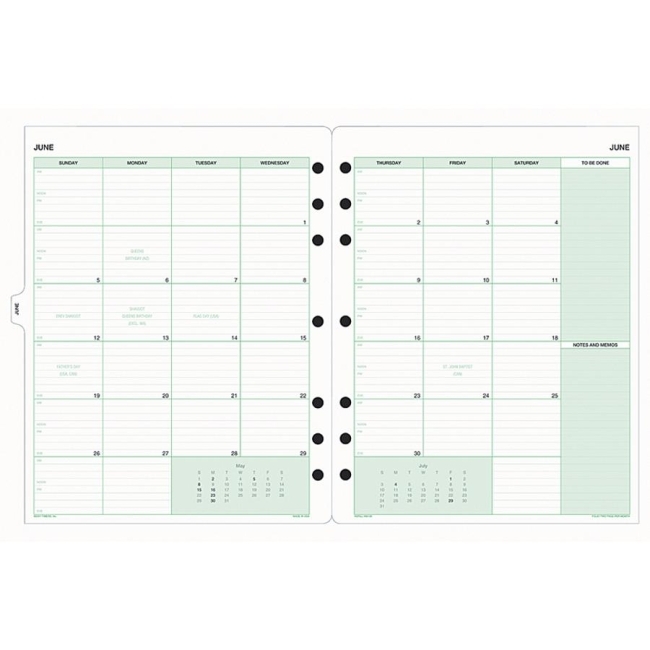 Each spread contains daily lined blocks for each date and notes as well as references to last and next month. Each month is tabbed for easy reference and doubles as tab divider. Refill is made with 50 percent post-consumer material.